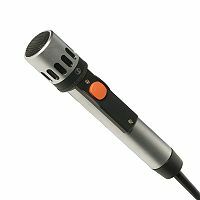 This microphone has 1 push button with up to 2 transfer contacts. Matt silver or matt black. Up to 6 function button on microphone.